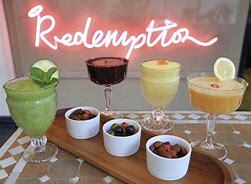 Vegan and alcohol free restaurant Redemption is to open a third site, in Seven Dials. Hanover Green retail advised Shaftesbury on the deal at 2 Neal’s Yard, with the site pencilled in to open in December. The new site will become their London flagship, and their latest location to date at 1,650 sq ft. It will also feature options unique to Seven Dials such as the option of take away food and a retail space where visitors can purchase the brand’s cookbooks, candles and other merchandise. It will also feature which it is claiming is the world’s first alcohol-free bar with large bi-folding doors to allow access to alfresco dining in Neal’s Yard. Julia Wilkinson, portfolio & group restaurant strategy executive at Shaftesbury, said Redemption’s creative and healthy vegan and alcohol free concept was “a perfect addition to the eclectic lifestyle mix of shops, restaurants and cafes within Neal’s Yard”.